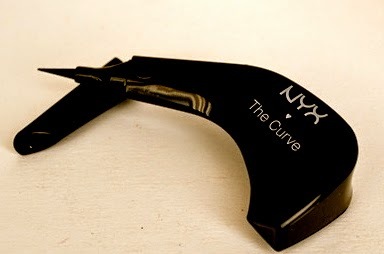 The Curve Liner in Jet Black by NYX has an innovative, ergonomic shape that makes applying liquid liner mistake-proof. The grip zone provides just the right hold to make application precise, secure and best of all...effortless. Felt tip liner. Ergonomic shape for optimal holding and easy application. Grip zone for secure & precise application. Suitable for right and left handed application with universal shape. Skinny tip for precision lining. Excellent color pay-off. Quick drying, smudge proof, no feathering, no skipping, no running, paraben free. I do not like this product very much I was very happy to try it out and had high hopes for it but my problem is the tip is very flimsy, although the product does show up very pigmented. I bought this for $14.99 at my Target which I think is just a little too high priced for the item. 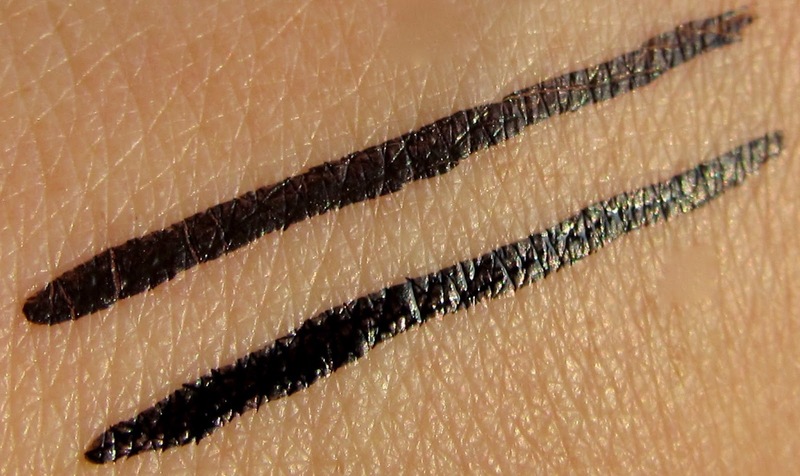 I understand it's a unique product and that's why it's priced so high but really it's plastic and around an inch long and maybe about half of an eyeliner in width. I really don't feel this gives you more control, its much bulkier actually. I find it really awkward to use and I think it makes things more difficult rather than easier. If I hold it the way you are supposed to, I can't get it close enough to my eyelid to be precise. I also think the tip is too long (meaning again that I can't get the thicker part of it close enough to my eye) and the formula might be a bit dry as it doesn't really 'flow' well enough onto the eyelid, especially when I have so many other eyeliners at home. I really thought this would be a high quality liner but sadly it is not. 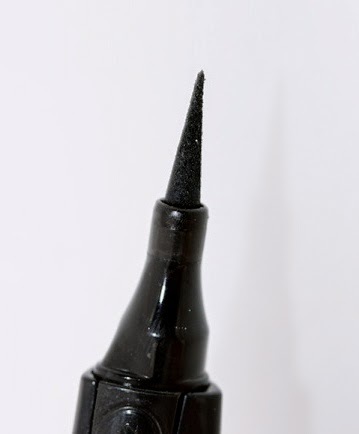 A simple short-handled felt-tip eyeliner such as Palladio Eye Ink has a better price and is much better and easier to use. Thanks for your sincere opinion! That's good to know i saw this and was interested in it since i love trying out new liners glad i hadn't bought it yet! Thanks, you saved me time and money. I just saw these the other day at Target & was wondering how good they were. Seeing as how I'm not really one for liquid liner (only on rare occasion), I think I'll pass.